All rates include tackle, bait, ice, and fishing license. All you need to bring is lunch and drinks, hat, sunglasses, sunblock and enough energy to fight some awesome fish! 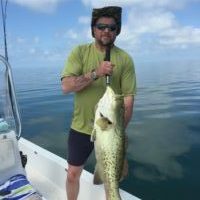 I specialize in light tackle and fish the backcountry/inshore flats and Nearshore Waters for Redfish, Grouper, Trout, Cobia, Tripletail and more. 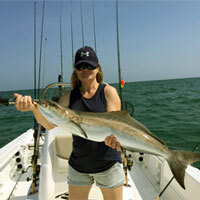 Common types of bait used include live pinfish, shrimp, cut mullet, jerk baits, jigs, and spoons. Top quality rods, and reels are used on all fishing charters. For flats fishing at it’s finest, come along with Capt. 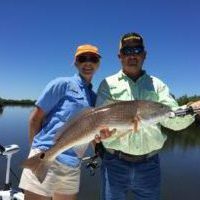 Glen Touchton of Southern Fishing Guide Service and fish the pristine, unspoiled waters of Homosassa, Ozello, and Crystal River, Florida. The grass flats here are crystal clear and surrounded by hundreds of mangrove islands. 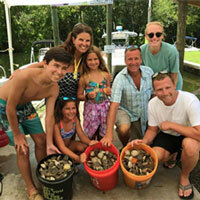 Homosassa and Crystal River still remain undiscovered and continue to be Florida’s best kept fishing secrets.